Hi my lovelies! I am so happy to do a giveaway again, the last one I've done was a year ago, so much time have passed away. My blog turned 4 years old in January, but I just didn't have chance to do a giveaway. Hopefully you will forgive me. 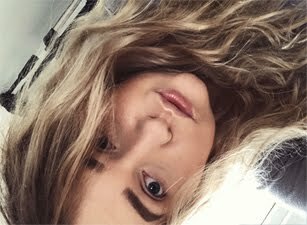 Burningblonde have it ups and downs, but I am really happy to be getting into a habit of blogging more often. My motivation have came back and I am really excited to share with you guys all the products I been using lately, as well as some lifestyle post. From the 2nd of March there will be a new post every Monday, Wednesday, Friday and Saturday, occasionally I will blog more often if I will have the chance too. 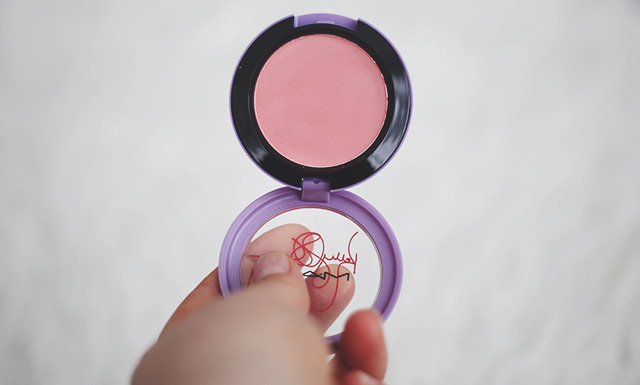 I have few exciting ideas, and to celebrate I would like to Giveaway the MAC blush from the Kelly Osbourne Collection in Cheeky Bugger, I would really love to keep it for myself, but I already have lots of blushes. The blush is very peachy with hints of brown, would look lovely on the skin during the warmer months. You can enter the giveaway by using Rafflecopter.